PODI SADAM....... have you ever heard this. I think all South Indian must be knowing this. We all love podi sadam at home. Rice and dal powder combo is awesome but have you ever tried chapatti and podi. 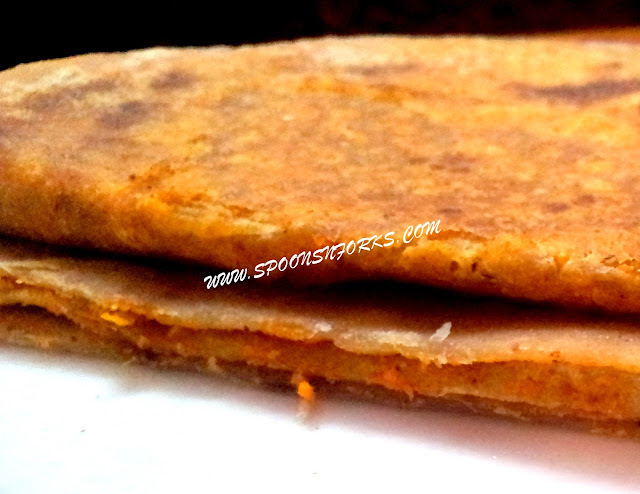 · Put 1 tbs podi in between and by colleting the edge of chapthi give a pouch shape to it. · Remove extra daugh from the top. · Again dust this with flour and role it with rolling pin. Delicious parahta. I love this simple dishes. Paratha looks awesome. Wonderfully prepared.